Krang! This is another piece done for Nickelodeon on their popular 2012-2017 Teenage Mutant Ninja Turtles cartoon series. 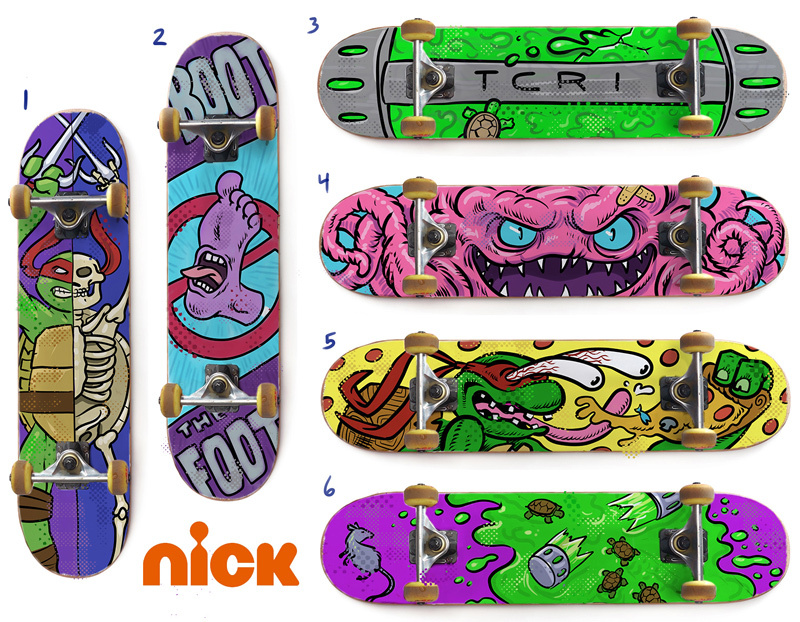 They asked me to come up with a series of hypothetical skate decks featuring some cool turtle art. I then photoshopped it onto the board for some promo material.